It's a complete set and it's finally finished!!! This set is for my 11-year-old niece M. As I blogged here, she's a relatively new member of our family and she's been through a lot of change over the past few months. This is for her new bedroom in her new house. 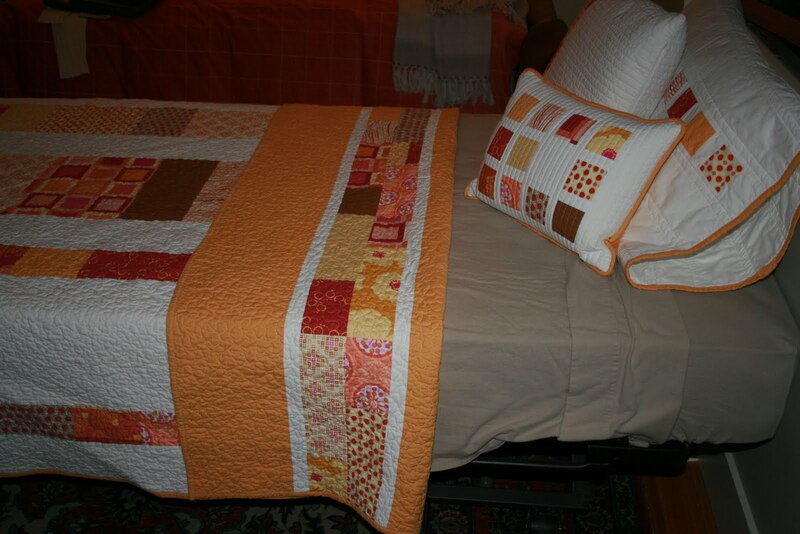 (photos are on a trundle bed in my guest room). First, my inspiration ... 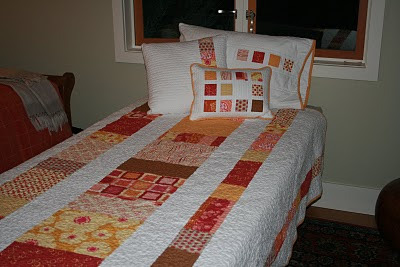 I found this fabulous quilt set on flickr by Kati from the blue chair (it's from Oh Franssons quilt pattern 12+ 2 = Q). It won't take you long to see the similarities in my version to it all! 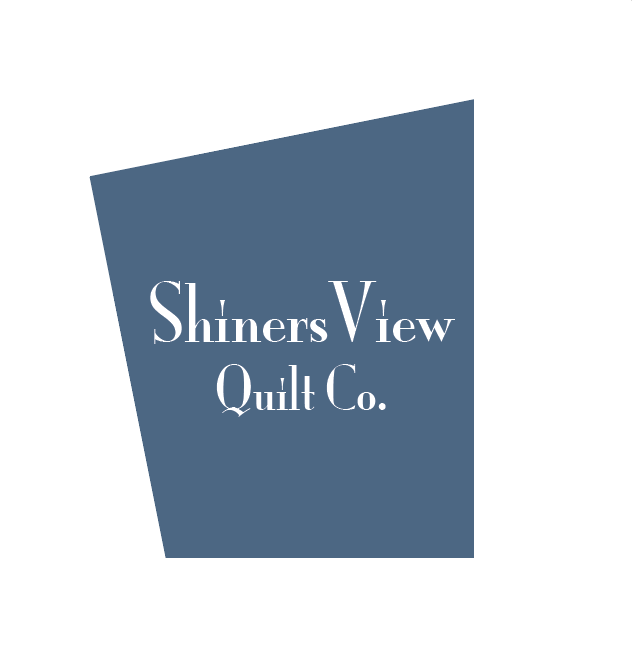 Sue, who has an 11 year-old daughter, and works at my LQS, helped me pick out the fabrics. 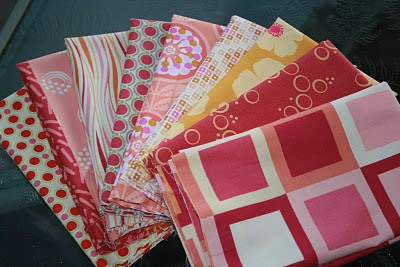 M loves pink, but I also wanted to find some fabrics that would grow up with her and not be tied to 'little-girl' years. 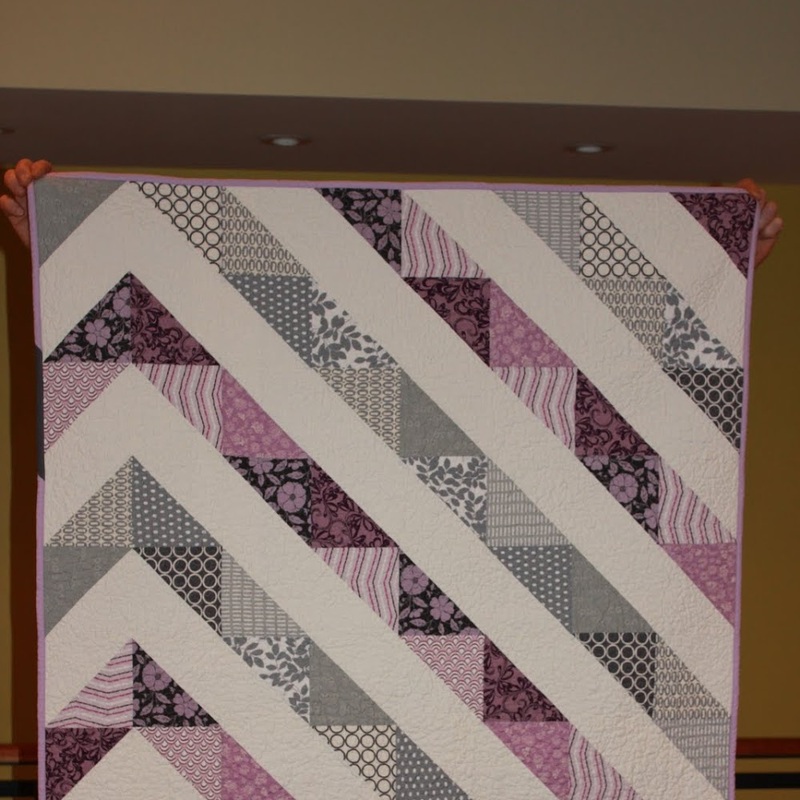 I modified the Elizabeth's 12 + 2 = Q pattern slightly to create a top that is better suited to a twin bed; making the patterned strips a little more narrow and then creating 2 new strips down the sides at the bottom of the drop just above the binding. 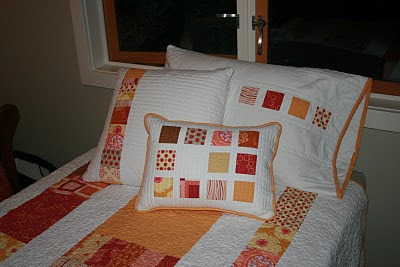 Then I got creative and made some pillows ... the photo from the inspiration quilt gave me the idea. These two were planned and both bear the "missing block". I also loved the extra strip on the back which I copied from my inspiration photo. 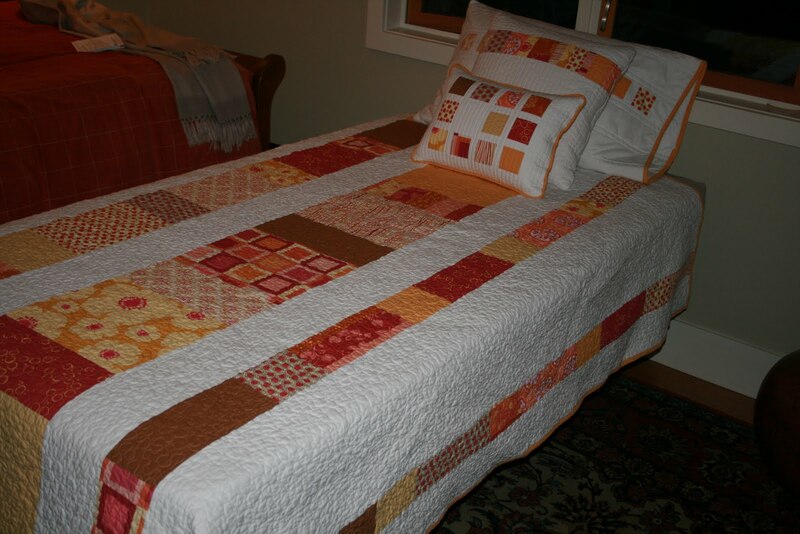 The finished quilt measures 65" x 88". I used Kona White on the front and Kona Ochre on the back and binding. 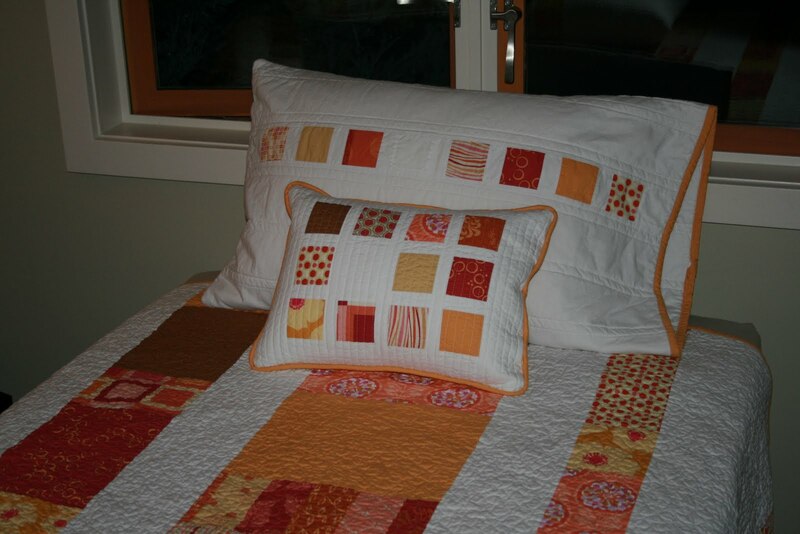 The quilt was quilted using a tight meandering pattern while the pillows were quilted with various versions of straight line (my first attempt). This took nearly a month to complete ... but I am very happy with how it came out and I hope that M feels the same way! It's perfect! I know she'll love it and it will always be special to her! Hopefully time goes by fast and she adjusts to him being gone and knows that soon they will all be reunited. I go through this all the time but have not had to do it for more than 6 months at a time. I'm dreading the day he has to leave for a year. I know someday it will come. I think it's harder for the older kids because they actually know what's going on. My 6 year old is almost at that point, but not quite and it breaks my heart every time when she asks, "is daddy ever coming home?" Good luck to all of you and I thank him for his service! The quilt set is gorgeous! You did a wonderful job! I missed your original post during the time my computer was sick with a major virus. What a great way to let your niece know you are thinking about her and what she is dealing with. I know she will adore the quilt and pillows and feel the love with which they were made. It is a wonderful quilt, I love the color combination and the pillows. She won't be able to not love it and feel special, I would think. I love it! I just can't get over how much I love the fabrics together. Great choices. I think this pattern makes such a great bed quilt. 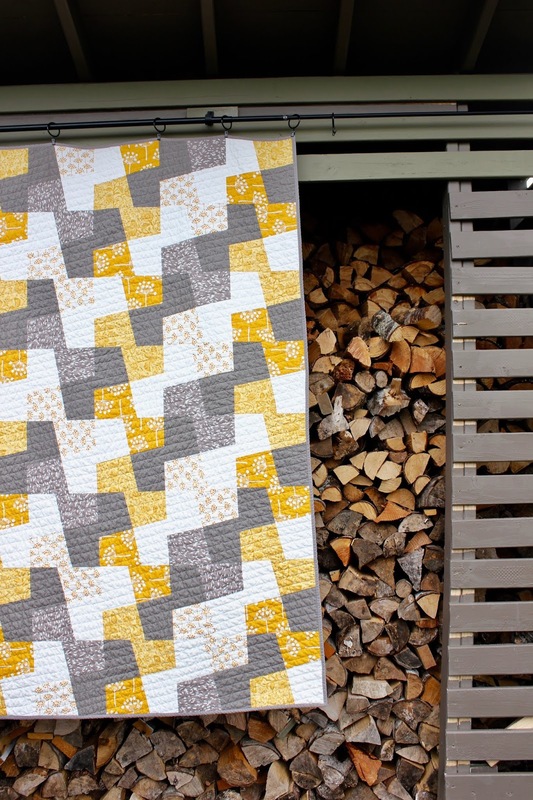 I sent this link to my sister because I'm trying to convince her she can actually quilt and make this for her daughter's bed. So pretty, Lisa. You did a beautiful job! I'm a 2 machine girl !! !